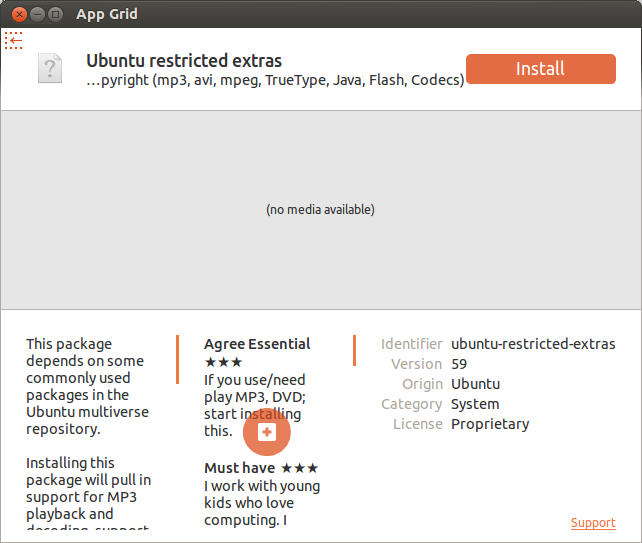 App Grid is a light weight alternative for Ubuntu Software Center. It allows you to filter applications by installed, pending, categories, name and rating. It is released under proprietary license and is available for Ubuntu 14.04, 14.10, 15.04, 15.10. The green circle around the applications denotes that those are currently installed. 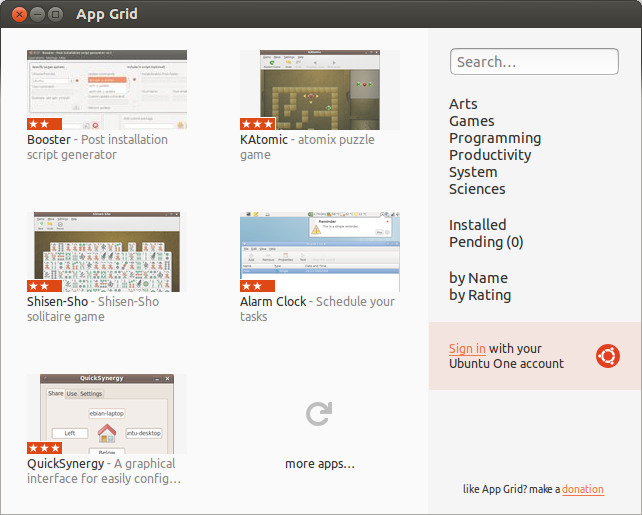 Also it offers a Ubuntu single sign-in option, so that users who have purchased applications with Ubuntu-one account can also install the same with App Grid. – sign in with your Ubuntu One account to review and purchase apps. – lines of code is somewhere around 5900 loc vs 56960 loc (incl tests etc). Now install App Grid using the following command. Open it up either from Dash or Menu. The default interface will look like below. Select the application you want to install. You can use the Search box to find any software. Also there are many categories on the right side that helps to find out the relevant softwares. I find it much faster than Ubuntu Software center. Why don’t you give it a try?